China’s purchasing managers’ index (PMI) for the manufacturing sector rose to 50.3 percent in March, up from 50.2 percent for February, according to government data released on Tuesday. A reading below 50 indicates contraction, while that above 50 signals expansion. 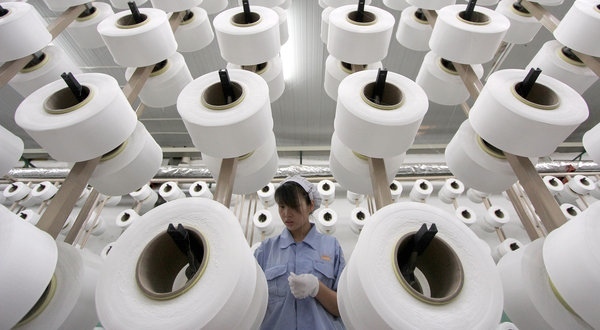 China has set a target of 7.5 per cent in 2014, unchanged from that of last year. While delivering his government’s first work report last month, the Chinese Premier warned China faces many complex challenges in 2014, including enhancing the quality and efficiency of economic development, tackling pollution and saving energy. “We are not preoccupied with GDP growth. The growth that we want is one that brings real benefits to the people, helps raise the quality and efficiency of economic development, and contributes to energy conservation and environment protection,” Li said in Beijing.